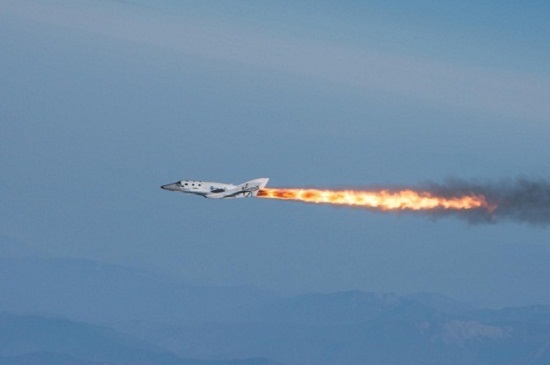 Last month, the FAA issued a waiver to Scaled Composites on the experimental permit that allows the company to conduct powered flight tests of Virgin Galactic’s SpaceShipTwo. The waiver was necessary because when Scaled applied to renew its one-year experimental permit in March, the company did not full meet requirements for identifying how it would deal with all potential hazards caused by powered test flights from the Mojave Air and Space Port in California. “In March of 2013, Scaled provided updates to the original hazard analysis for FAA assessment. Upon reviewing Scaled’s application to renew its permit, the FAA determined that Scaled did not fully meet the requirements of 14 CFR 437.29 and 437.55(a). In granting the waver, Nield wrote that the human and software error requirements were covered by other parts of Scaled’s flight test procedures and safety protocols. Scaled did not fully comply with the hazard analysis required by section 437.55(a), but the FAA finds that Scaled’s operations will not jeopardize public health and safety or safety of property because of the combination of its flight test program, training, incremental flight testing, chase planes, two pilots, and the remoteness of its operating area…. This waiver is consistent with the public interest goals of Chapter 509. The SS2 test flights will stimulate economic growth, spur technological developments and create aerospace business opportunities such as carrying scientific payloads and space tourists on trips to the edge of space and back. The FAA finds that granting this waiver is in the public interest because the SS2 flights further the purposes Congress articulated for Chapter 509. The waiver did not affect the renewal of Scaled’s experimental permit. The FAA renewed it for another year with minor revisions on May 22, which was the date the original permit expired.